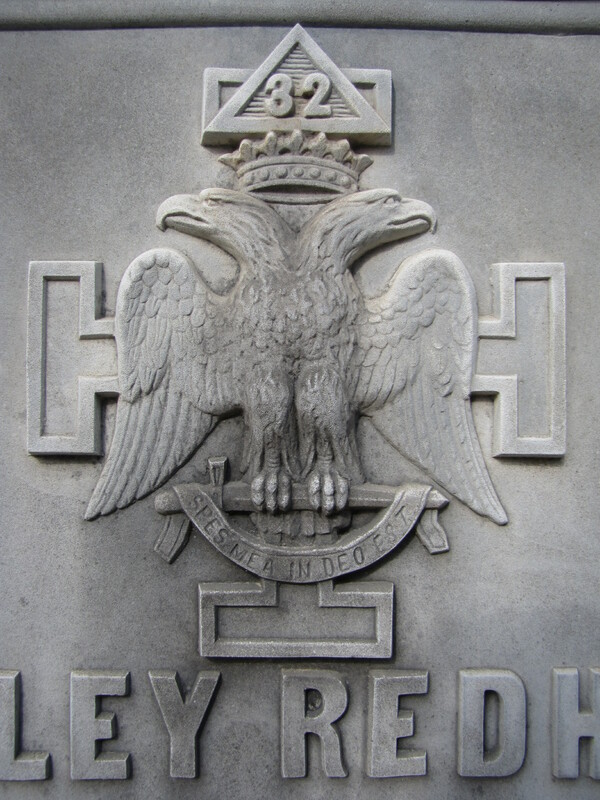 The double-headed eagle with a crown and a small triangle with the letters 32 inside also represents the 32-degree of the Ancient and Accepted Scottish Rite. Again the eagle clutches a banner with the motto: “SPES MEA IN DEO EST”, Latin for “My hope is in God.” But, in this version the eagle is surmounted on a cross potent. The cross potent is an ancient heraldic symbol, also referred to as the crutch cross. The cross potent is made up of four lengths of cross of equal lengths with crossbars on the ends. Two such examples were found on a zinc monuments in the Woodland Cemetery at Des Moines, Iowa. 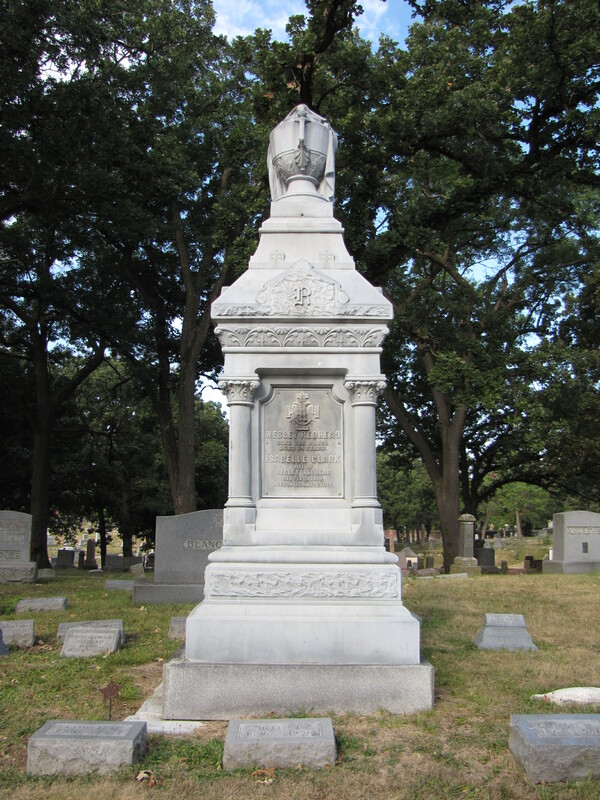 One example was the elaborate monument of Wesley Redhead, died January 9, 1891, aged 64 years. 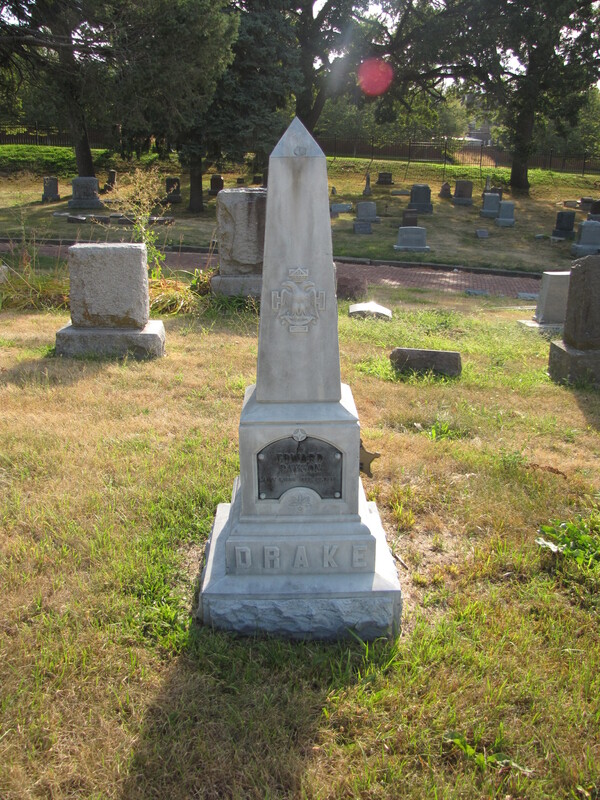 The example below is on the zinc obelisk marker of Edward Payson Drake, who was born May 1, 1856, and died February 20, 1943.